Instagram announced at F8, the Facebook annual developer conference, new changes to its app that are meant to improve the user experience. Aside from new ways to share Stories, Instagram introduces the ability to design camera effects, video chats, and a redesigned Explore tab. Starting with the latest version of Instagram, users will be able to directly to Stories from other apps like Spotify and GoPro. 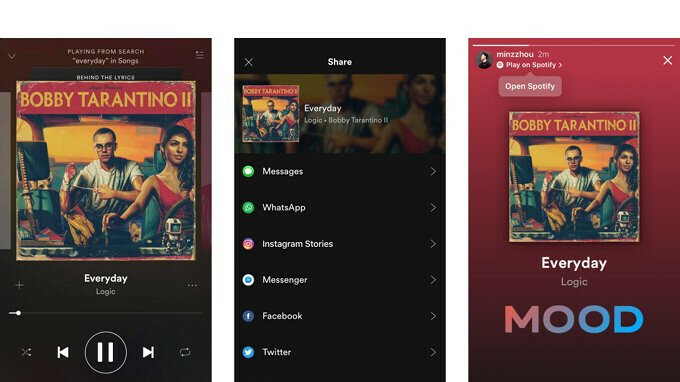 You'll be able to share a sticker of your favorite song on Spotify or action shots from GoPro, but more apps will be added to the sharing to Stories feature in the future. In order to share from Spotify or GoPro apps, you'll have to tap the share button. Then, you can edit and add the content to your story or send it via Direct. Keep in mind that you don't have to connect your Instagram account to other apps to be able to share to Stories. As mentioned earlier, Instagram announced that it's making available the ability for third parties to design interactive camera effects. Whenever you see a new camera effect in Stories from an account that you follow, you'll now be able to tap “Try it on” and the tool will be added to your account. 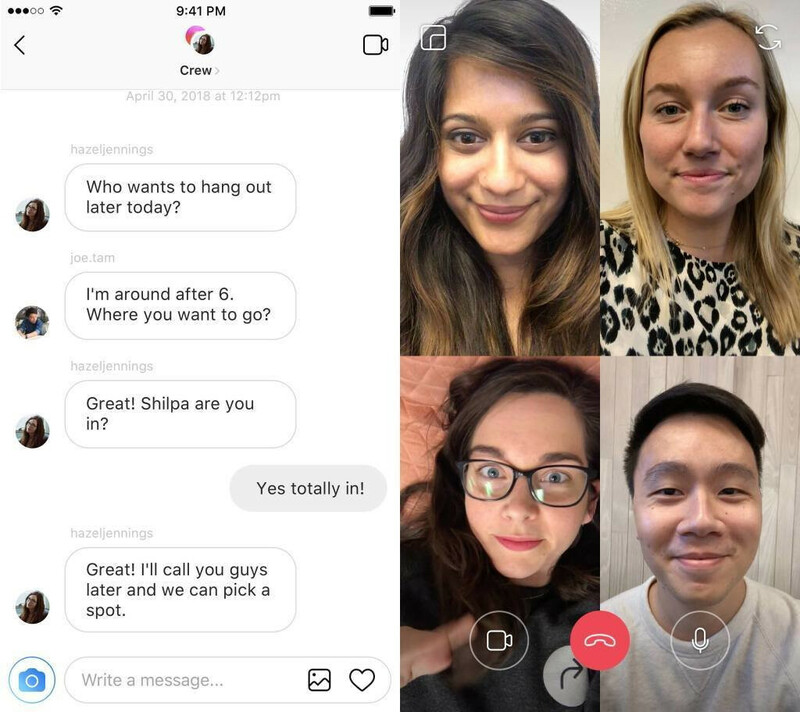 Previous rumors indicated Instagram plans to add the video chat option to its app at some point, and today the company announced it will bring it to all its users “in the coming weeks.” In order to start a video chat, you'll have to tap the new camera icon at the top of a Direct thread. The new feature will allow you to chat one-on-one or with a small group for as long as you want. Finally, there's a new, redesigned Explore tab available in the Instagram app, which is now organized by topic channels so that you can browse based on your interests. Apparently, the new Explore will be pushed out over the coming weeks.